As the official sanctioning body for professional golf in Asia, the Asian Tour leads the development of golf across the region, enhancing the careers of its members while maintaining a commitment to the integrity of the game. 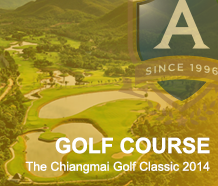 The Asian Tour is also the only player-led regional golf organisation in Asia and represents over 300 players from over 30 different nationalities. The growth of professional golf reached new heights in 2008. An unprecedented 30 events which offered a record US$39 million were staged across 17 countries and territories while India’s Jeev Milkha Singh become the Tour’s first million-dollar man in a single season when he earned over US$1.4 million to win the Order of Merit title for the second time in three years. The Asian Tour sanctioned 28 events worth almost US$40 million in 2009. Thailand’s Thongchai Jaidee became the first man in Asian golf history to win three Order of Merit crowns while Korea’s Yang Yong-eun created history by becoming the first Asian to win a Major. Yang and India’s Jeev Milkha Singh were afforded honorary memberships on the Asian Tour for their outstanding achievements and contributions to the game of golf in Asia and across the globe. Noh Seung-yul of Korea became the youngest ever Asian Tour Order of Merit champion at the age of 19 years and 204 days while Thailand’s Thongchai Jaidee claimed an unprecedented 13th career victory. The Asian Tour sanctioned a total of 24 tournaments in Asia worth over US$38 million, including four new tournaments in India, Malaysia, Chinese Taipei and Singapore. The Asian Tour also successfully launched the Asian Development Tour, consisting of five tournaments for the region’s rising stars to hone their games. Juvic Pagunsan became the first Filipino to win the Asian Tour Order of Merit crown as the Tour welcomed winners from 14 different nationalities. The Asian Tour sanctioned a total of 24 tournaments in Asia worth over a record US$50 million, including four new tournaments in India, Korea, Indonesia and Thailand. The Asian Development Tour also grew from five to eight events. Thailand’s Thaworn Wiratchant stole the limelight when he won his second Order of Merit since 2005. It was a season to remember for the Thai veteran as he won three times to become the oldest Asian Tour number one with an unprecedented 15 career victories. The year also saw the Asian Tour sanction 27 tournaments in Asia worth US$44.5 million to the region’s top stars. Outside of Asia, Thailand’s Thongchai Jaidee cemented his place as one of Asia’s living legends with a first victory on European soil in Wales while India’s Jeev Milkha Singh won the Scottish Open for his third title in Europe. 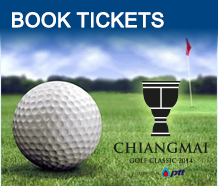 The role of the Asian Tour encompasses sanctioning, marketing, management, development and promotion of professional golf tournaments in the region that form the schedule of events known as the Asian Tour. The Asian Tour’s core activity is to generate playing opportunities and increase prize money for its members through the sanctioning of Asian Tour events. The Executive Management Team is overseen by a Board of Directors. The Board establishes goals and policies and directs the strategic development of the Asian Tour while the Tournament Players Committee (TPC) provides recommendations on policies in regards to player and Tour related issues.